We at Kitarablogi HQ received a very special instrument for review this time – the new Tokai TJM-140, which is based on Fender’s Jazzmaster. When the original Jazzmaster was released in 1958 Fender aimed it squarely at Jazz and Lounge musicians, who had found the company’s earlier offerings much too bright and Country-sounding. The Jazzmaster also was Fender’s first model with a rosewood fingerboard, something their sales force had been requesting for years (for cosmetic reasons). Over the last years Jazzmaster-type offset guitars have definitely become en vogue again. Thanks to this trend Tokai, too, has decided to come up with its own version of this guitar classic. 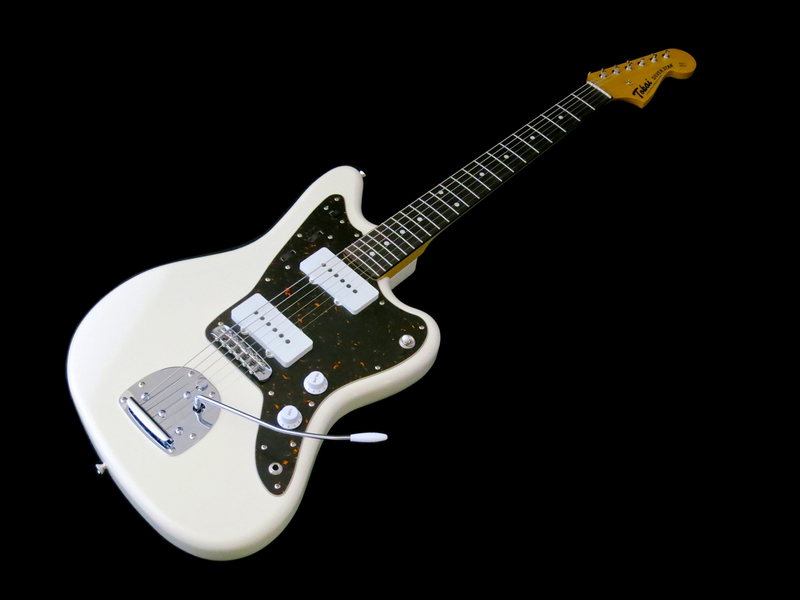 The Tokai TJM-140 Silver Star (reviewed version: 1.495 €; basic model: 1.445 €) is a top-quality Japanese rendition of the Jazzmaster model, which stays faithful to the original classic in most respects, with a few modern improvements. The review sample has been customised further with a set of Seymour Duncan Antiquity pickups. Tokai’s TJM-140 strongly channels an early-Sixties spirit – this guitar comes with the original, small Fender-style headstock, as well as an unbound rosewood fretboard with small dot markers. Beneath its classy Olympic White finish the curvaceous body is crafted from alder, while the satin-finished neck is maple. Putting the truss rod adjustment at the headstock end is one of the welcome improvements on the TJM-140. The Tokai sports a set of fine Kluson copies made by Gotoh. This model comes with 22 medium-sized frets. The fretwork is very clean. Leo Fender had a thing for vibratos, which he called tremolos. For the Jazzmaster he came up with a special new system. 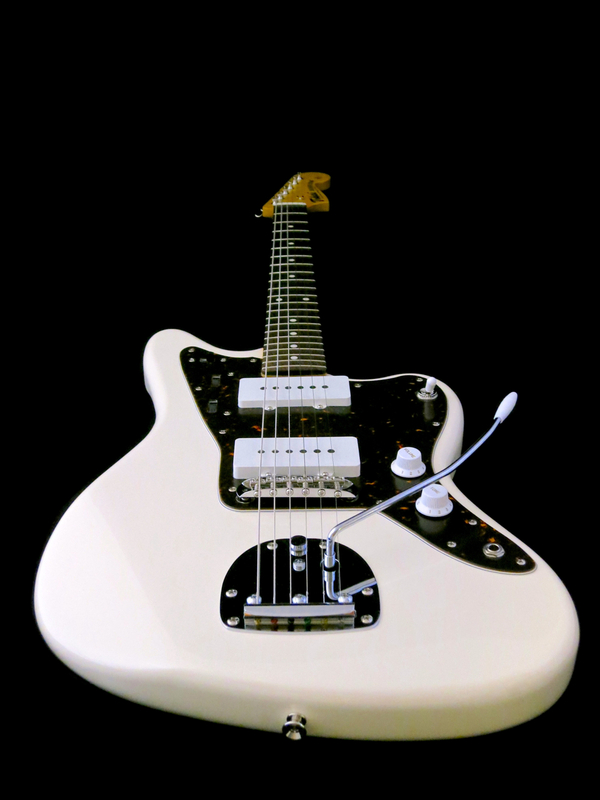 The Jazzmaster-vibrato (which was later used on the Jaguar, too) comprises a front-installed vibrato/tailpiece-combination, paired with a separate bridge. The bridge stands on height-adjustable poles inside long ferrules, and it rocks slightly back and forth during vibrato use. 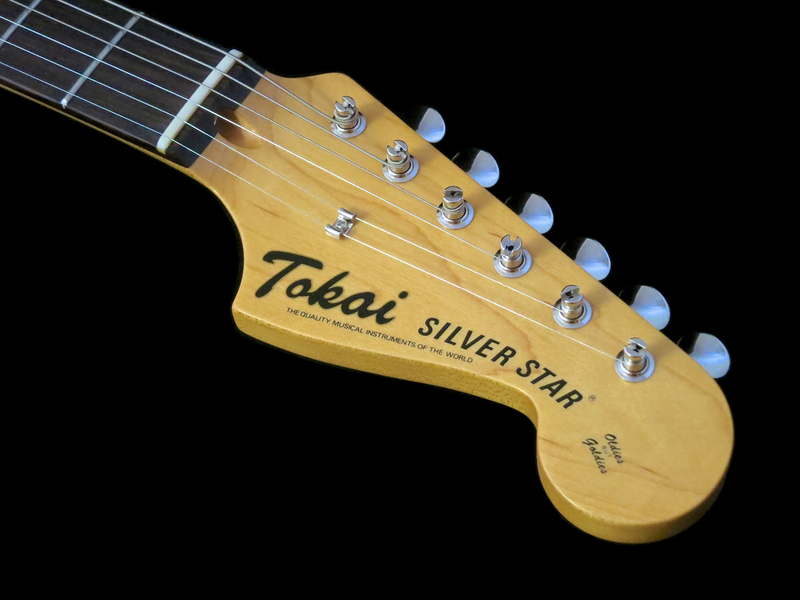 The Tokai Silver Star uses a well-made Japanese copy of the original system. You don’t need to be a guitar expert to see that Leo Fender was aiming for a Gibson P-90-vibe with his flat and wide Jazzmaster pickups. Both the P-90 and Jazzmaster pickup have similar coils, but their magnetic structure puts them apart. Gibson’s P-90 uses two long bar magnets placed underneath the coil, either side of a metal spacer, to magnetise its pickup. 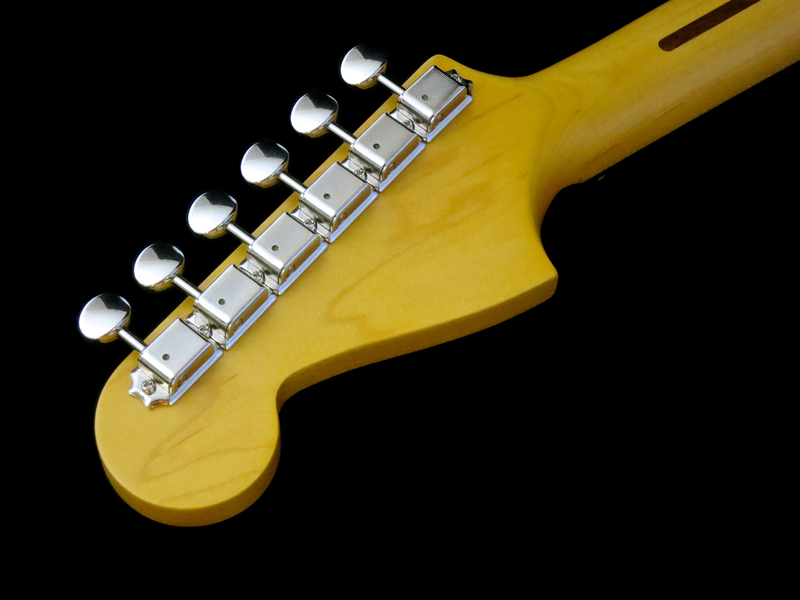 Fender, on the other hand, uses six slug magnets, which also serve as the pickup’s pole pieces. The pickups in Seymour Duncan’s Antiquity-set are reverse wound/reverse polarity, resulting in a hum-cancelling middle position on the toggle switch. The special feature of Jazzmasters is the so-called rhythm circuit. The slide switch above the neck pickup switches between the lead and rhythm circuits. In rhythm, only the neck pickup is selected, with a slight treble roll-off and its own set of volume and tone control wheels. The solo circuit uses the regular set of controls – a three-position toggle, plus master volume and tone. Each circuit works independently of the other’s settings. In my view, every guitarist should try a Jazzmaster- or Jaguar-style guitar once in his/her life, just to experience that comfortable offset body. 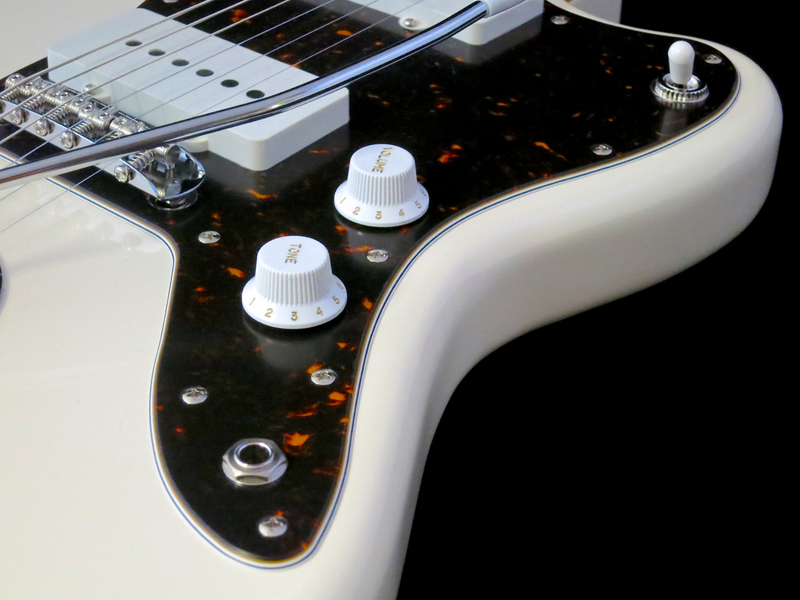 Some players feel that the offset waist of a Jazzmaster is even more ergonomic that a Strat. The Tokai TJM-140 is a fine example of a Jazzmaster-style guitar. Our test sample is light in weight, the neck’s oval C-profile feels great in your hand, and the guitar arrived with an expert setup. 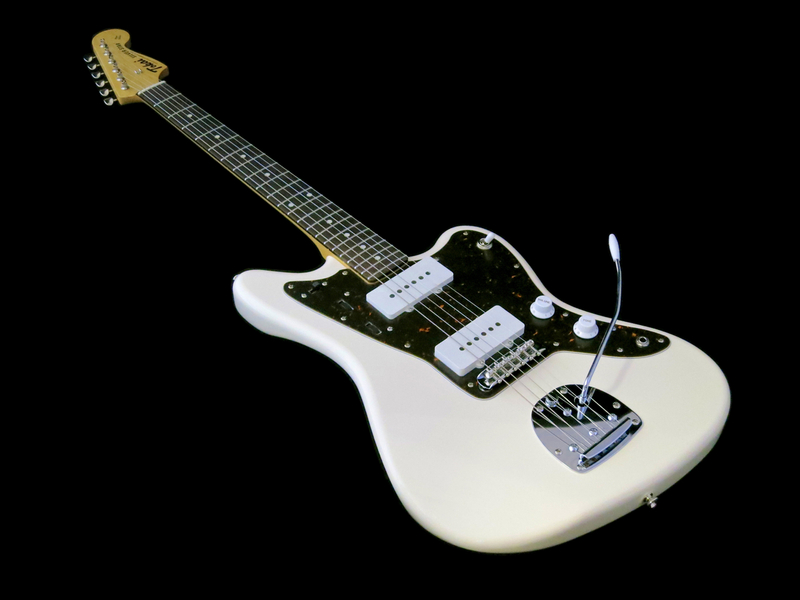 Still, the Jazzmaster-vibrato will continue to divide opinions for the foreseeable future. The push-fit vibrato arm isn’t as foolproof as the screw-in Stratocaster arm, and it tends to swing rather loosely, when not in use. With a contemporary string set of 009- or 010-gauge you will probably run into some problems sooner or later, due to the shallow string angle over the bridge. 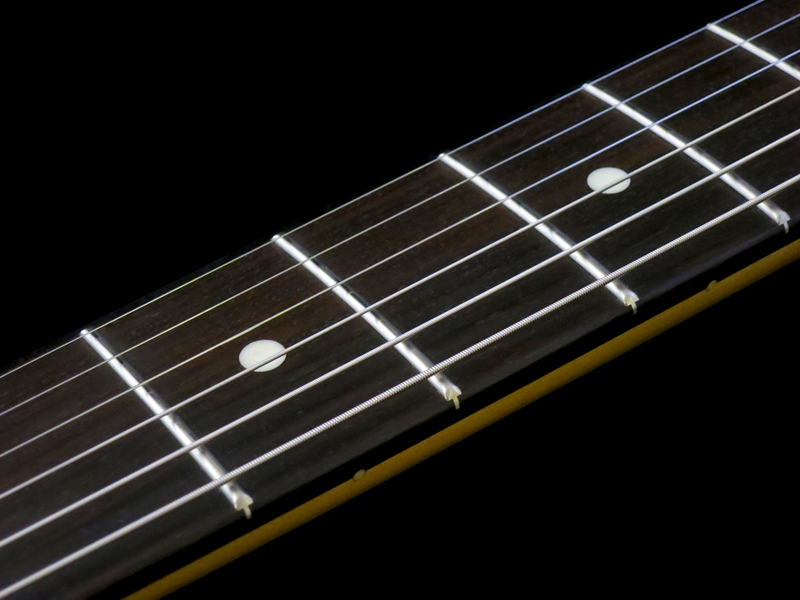 Forceful strumming and/or large bends tend to cause light string gauges to jump out of the bridge saddles’ grooves, spoiling your setup and tuning in the process. You cannot blame the Tokai TJM-140 Silver Star for using a faithful copy of the original vibrato, because this guitar is meant to be a vintage-inspired instrument. Nevertheless, it’s important to know about any possible pitfalls and solutions. 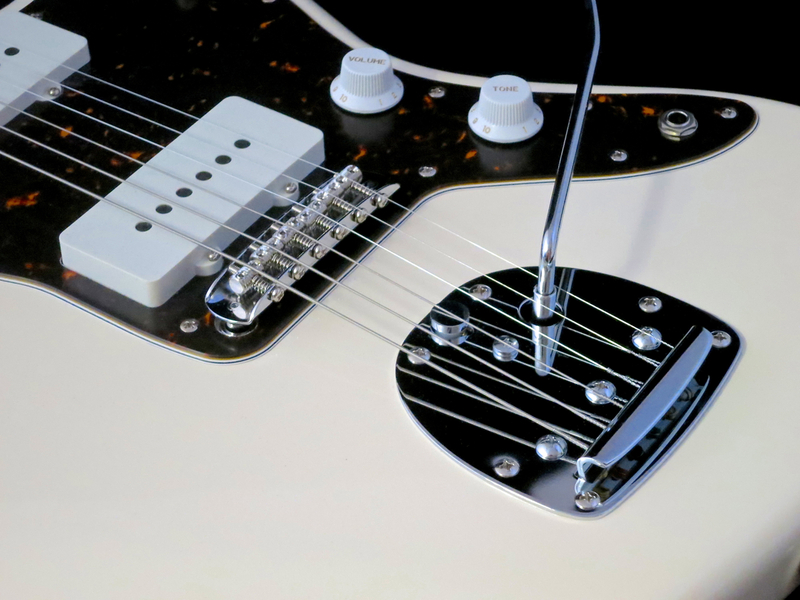 The easiest way to get a Jazzmaster-vibrato to play nicely is to use the correct string gauges of the late 1950s – read: flatwound 011s or 012s with a wound g-string. If this seems unbearable there’s always the screw-on Whizzo Buzz Stop, a Bigsby-style roller that adds much-needed downward pressure at the tailpiece. 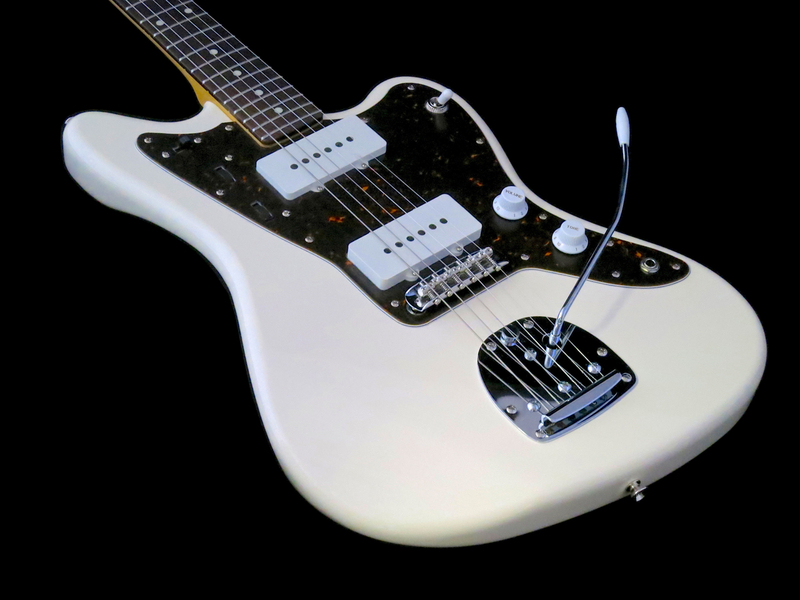 Others like to take the far more drastic step of replacing the whole Jazzmaster-system with a Mastery-vibrato, a replacement made specifically for use with modern strings. 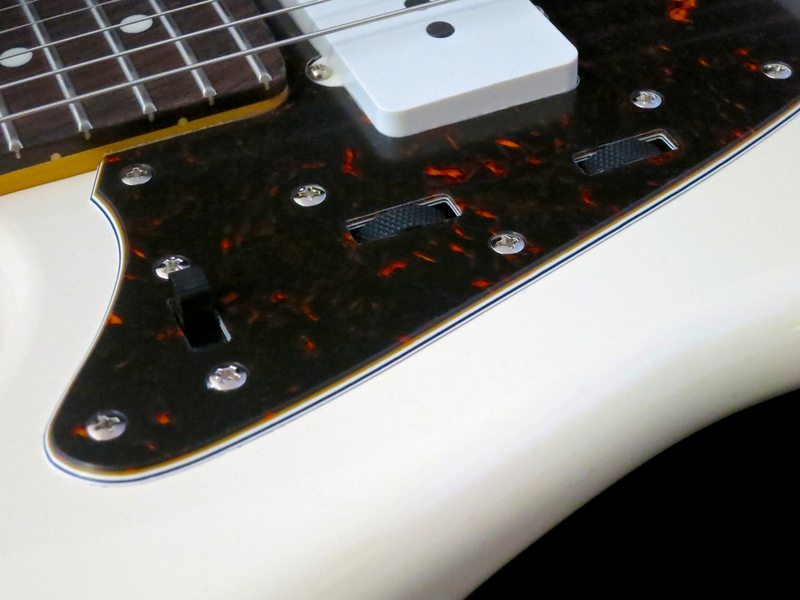 Tokai’s TJM-140 Silver Star nails the Jazzmaster tone like a champion. The Antiquity pickups give you lots of chime and sparkle, but the top end is much warmer than on a Strat, and there’s a nice dose of mid-range chunk. The rhythm circuit rolls off a little bit of the neck pickup’s treble, but still keeps things from going all dark and muddy. 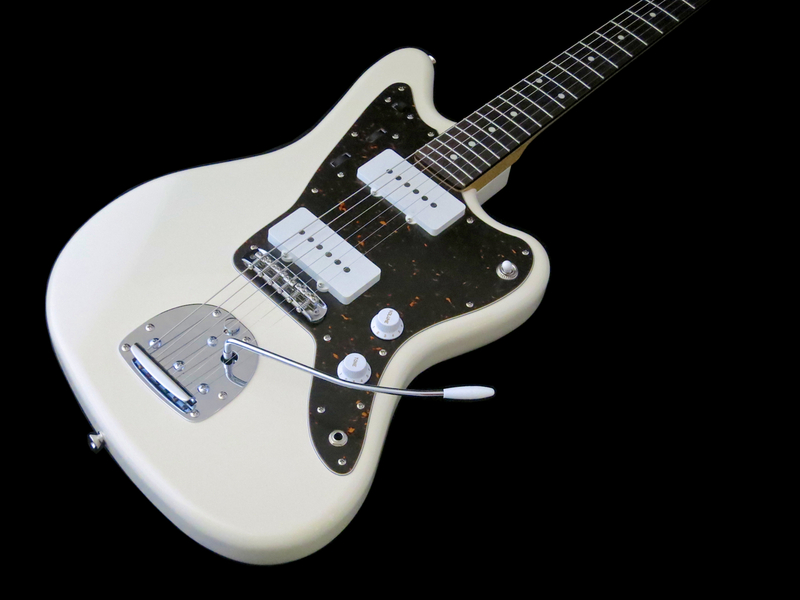 Tokai’s TJM-140 is a pro quality Japanese version of the Fender Jazzmaster. The Tokai plays and feels great, and its sound really leaves nothing to be desired. 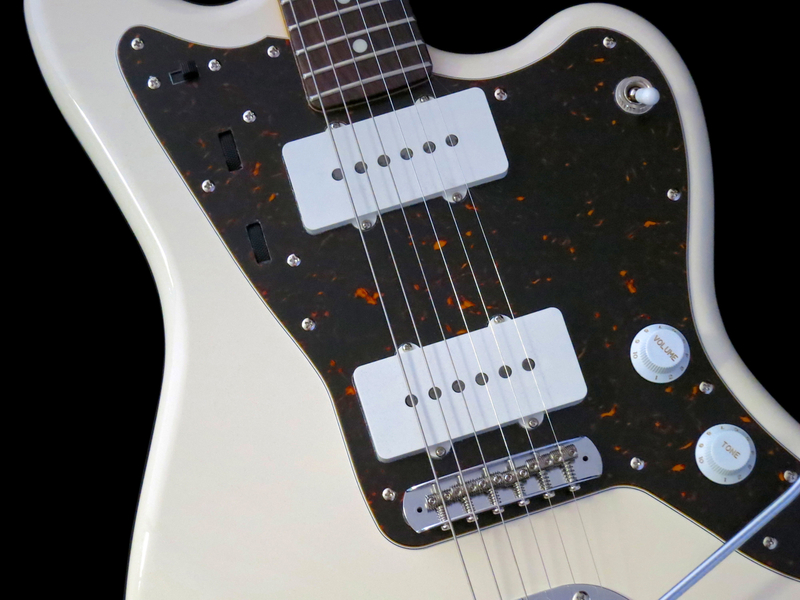 The original Jazzmaster-/Jaguar-vibrato might become a deal-breaker for some, but I feel the original system adds a lot to this guitar’s sound and mystique. Tokai uses a high-quality copy of the original vibrato, which works as smoothly as it should. Taking this instrument for a spin is highly recommended!